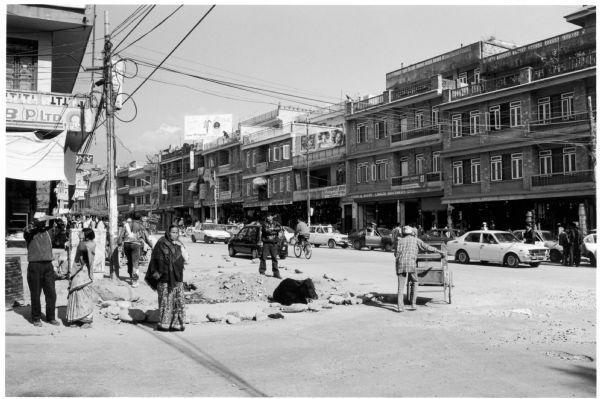 City street in Pokhara, Nepal. Images from "Things Once Seen", by Richard Quinney, 2008. "Borderland", 1983-2000. Scans from prints on loan from Richard Quinney.